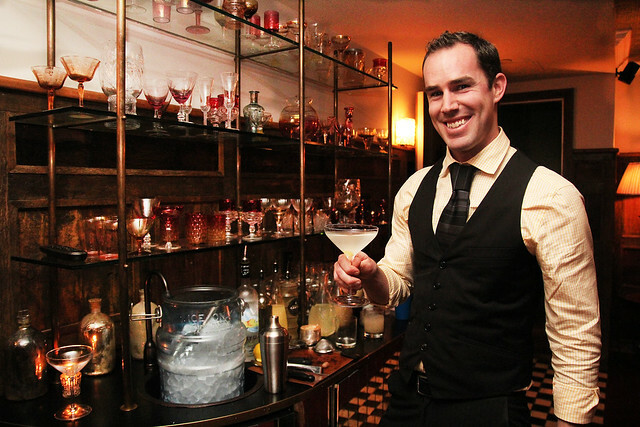 Bartender Justin Winter teaches Soho House members how to make cocktails for their fancy friends. Not many Average Joes and Janes make it past the model-gorgeous front desk girls of the Soho House in West Hollywood. This international clubhouse (there are 16 clubs around the world) is strictly members only. And even then you have to be a certain caliber of celebrity and cha-ching to make it onto their roster. Knowing this I was a bit nervous checking out the private club’s Cookhouse holiday entertaining seminar which featured the likes of Grey Goose and Crumbs Cupcakes. Soho House truffles you can make at home. I figured for sure all the employees at the club would look down their noses at me with that you-don’t-belong-here disdain but fortunately I was completely wrong. Everyone was so accommodating, even after I answered their “Are you a member?” in the negatory. The question seemed like more of a way for them to gauge whether I’ve been there before and needed some guidance, not an opening for condescension. Pfew! They simply directed me to take an express elevator up past many floors to the club and then I had to check in with another desk on the main floor. I was then instructed to walk down a hallway. No one hovered over me to make sure that I wouldn’t wander off and explore. Heh. There’s also a bigger room with a bar which I had accidently-on-purpose walked into and a screening room. I’m sure there were more rooms but I was too much of a scaredy-cat to go exploring. Soho House’s Cookhouse seminars occur twice a month and teach Soho members how to do food-related things like make cocktails, prepare poultry and bake mince pies. 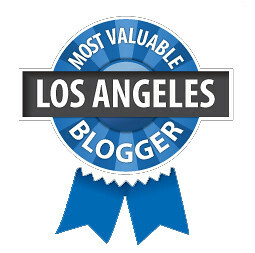 For WeHo members, there are classes on pizza-making and shucking oysters which take place off campus at Soho House’s sister restaurant, Cecconi’s. Fortunately, these are open to the public; the next one takes place on December 28. But this night’s seminar, “Honing Your Hosting,” focused on how to do up an easy and affordable holiday party with simple Grey Goose La Poire cocktails, wallet-friendly wines, Crumbs holiday cupcakes and DIY chocolate truffles. Yup, surprisingly the rich and famous don’t just throw money at their party planning, like I had thought. So everything was set up like one-stop shopping with stations for the cocktails, cupcakes, etc. Naturally, I gravitated to where Grey Goose’s mixologist Justin Winter* was demonstrating how to make a couple of cocktails. Now, I usually steer clear of flavored vodka drinks, which tend to be made too sweet for me, but was curious to see what the vodka brand’s idea of simple but festive cocktails was. The drinks showcased here were pretty straightforward with no sign of DeKuyper. Instead they were made with simple ingredients that you can just pick up anywhere and they still tasted well-crafted and not syrupy sweet. The first drink up was the Grey Goose La Poire Ginger Joy, which tasted crisp and refreshing enough to be enjoyed during warmer weather. If you want to switch things up, bartender Justin said that the other Grey Goose flavors (Citron or Orange) could be subbed in this recipe. The Citron version would be especially nice poolside. Add all ingredients to a cocktail shaker filled with ice. Shake vigorously and strain into a martini glass. Present with a pear slice or crystallized ginger. 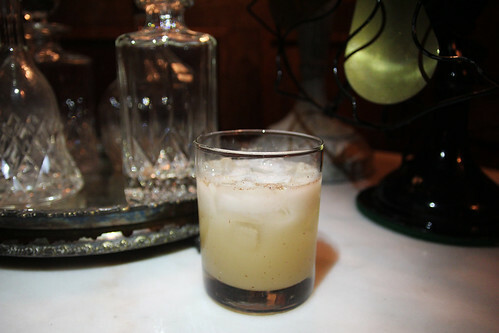 The second cocktail, although served sans eggs, had an eggnog holiday feel to it what with its brandy and nutmeg. If you want it extra frothy, Justin suggested dry shaking the almond milk first before adding in all the other ingredients. Grey Goose La Poire Almond Froth. In a cocktail shaker fill with ice, add all ingredients and shake vigorously until the outside of the shaker is frosted and beaded with sweat. Strain into a glass and garnish with freshly grated nutmeg. Unfortunately these cocktail recipes are basically single serving since they have to be shaken. So depending on how many guests you have, you might be stuck making drinks all night. But I’m thinking that maybe for the Ginger Joy you could probably substitute lemonade for the simple syrup and lemon juice and make a punch so people can serve themselves while you mingle. Another nice tip from Justin: If you want to fancify your drinks, you can pick up edible flowers for your cocktails at Bristol Farms. 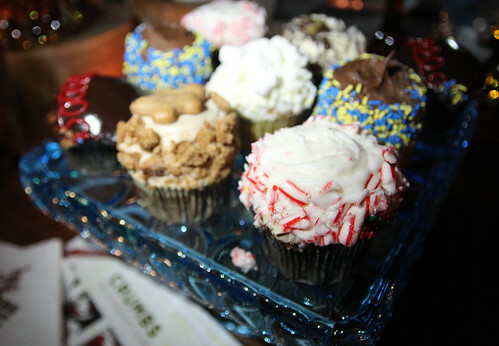 As for the other stations in the room, Crumbs displayed its special holiday cupcakes like a Christmas-y chocolate one topped with crushed candy canes and Hanukkah ones with blue sprinkles. Wine lifestyle company Girl Meets Grape brought six wines which ranged in price from $6 for a Red Diamond Merlot to $14 for a Nino Franco Prosecco. 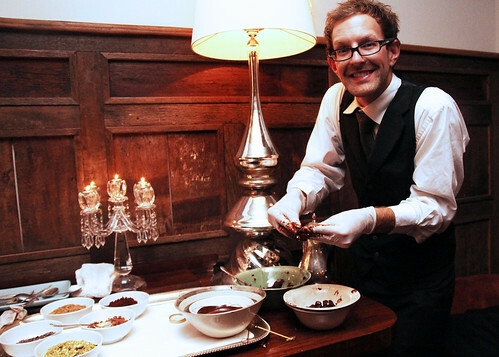 And Soho House’s Michael (proxy for chef Nicky) was demo-ing how to make your own truffles. Melt 72% cocoa in your double boiler. Add in regular cream (half & half) and fold together until you get a soft, sturdy base. Make your balls the size of a quarter. Then dip it in the melted chocolate (again — melted 72% cocoa) and roll them in toppings like pistachios, crushed graham crackers and edible gold dusting (“for extra fabulousness”), which can be found at Surfas in Culver City by the way. Afterward set them aside to dry for a bit. * Soho House does have its own mixologist, Chris Ojeda, who used to work at Comme Ca and the Varnish, and now is the West Hollywood clubhouse’s group creative bar director. You can drool over his cocktail menu here. I had no idead they offered seminars. Sounds like a great time. Thanks for sharing the Grey Goose La Poire Almond Froth recipe. I so want to try this! Misty, Yeah, that was a nice surprise hearing that non-members can benefit from these seminars, too.